Distance Shadowmask is the most resource-intensive option, but provides the best results: it yields high-quality shadows within the Shadow Distance (Edit > Project Settings > Quality > Shadows), and baked high-quality shadows beyond. For example, you could create large landscapes with realistic shadows right up to the horizon, as long as the sun does not travel across the sky. Shadowmask and Distance Shadowmask modes fall back to forward rendering(RenderTech-ForwardRendering) (no deferred or light prepass support) on platforms which only support four render targets, such as DirectX 9. In the case of Baked Indirect, Shadowmask and Distance Shadowmask, the direct lighting contribution behaves just like a Realtime Light, so you can change parameters like the color, intensity and even the Transform of the Light. However, baked values are precomputed, and cannot change at run time. If only subtle changes are introduced to direct lighting (for example, by only slightly modifying the hue or intensity of a Light), it is possible to get the benefits of indirect lighting and for the Light to appear somewhat dynamic, without the extra processing time required for a Realtime Light. Indirect lighting is still incorrect, but the error might be subtle enough not to be objectionable. This works especially well for Lig hts without precomputed shadow information. This is achieved either by having shadows disabled for the Light, or by using Baked Indirect mode where shadows are real time. As shadowmasks are part of the direct lighting computation, moving such Lights causes visual inconsistencies with shadows not lining up correctly. In the case of Mixed Lights, the last segment of a light path (that is, the path from the Light to the surface) becomes part of the precomputation as well. 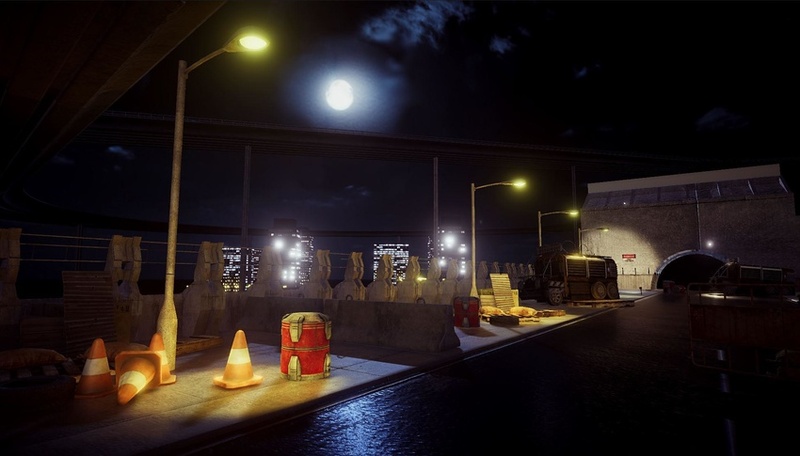 However, Unity still handles direct lighting and indirect lighting separately. It bakes indirect lighting into light maps and Light Probes, which are then sampled at run time. Indirect lighting is generally low frequency, meaning it looks looks smooth and doesn’t contain detailed shadows or light transitions. Therefore, shadows are handled with direct lighting where they have a high visible impact. If shadowmasks are enabled, Light Probes also store occlusion information for up to four Lights. If more than four Lights intersect, the excess Lights fall back to Baked Lights. You can inspect this behavior with the shadowmask overlap visualization mode. This information is precomputed, so only the only shadows Unity stores in the shadowmask are shadows cast from static GameObjects onto other static GameObjects. These shadows can have smoother edges providing better quality than real-time shadow maps, depending on the light map resolution. 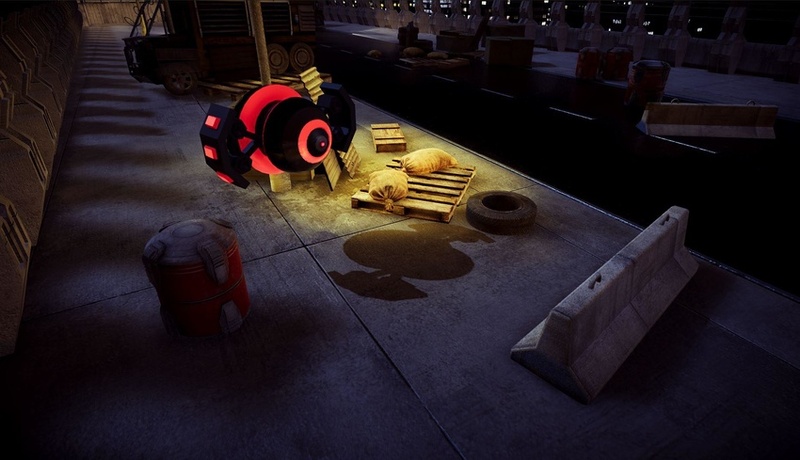 Because each Mixed Light retains its shadowmask channel mapping at run time, shadows cast by dynamic GameObjects via shadow maps can be correctly composited with precomputed shadows from static GameObjects, avoiding inconsistencies like double shadowing. 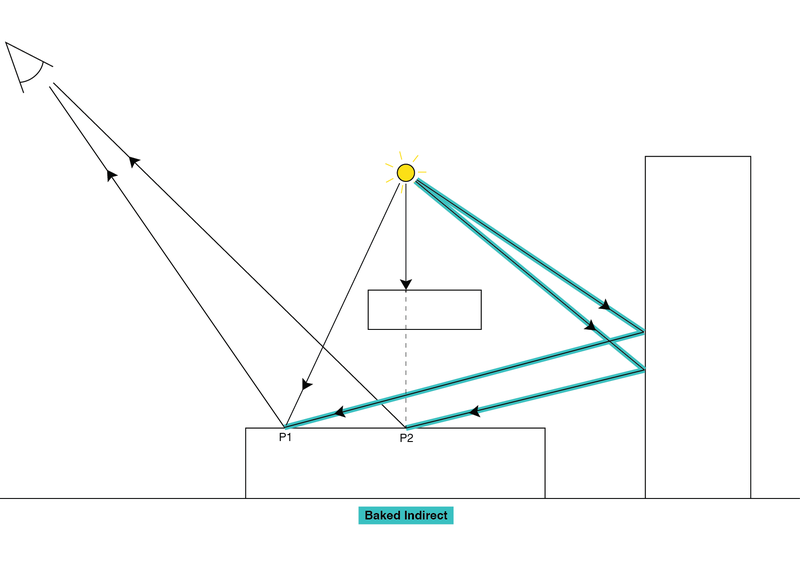 What all Mixed modes except for Subtractive mode have in common is that direct lighting is always computed in real time and added to the indirect lighting stored in the light map, so all Material effects that require a light direction continue to work. Dynamic GameObjects always cast shadows on other dynamic GameObjects via shadow maps within the Shadow Distance (Edit > Project Settings > Quality > Shadows), if shadows are enabled for that Light.